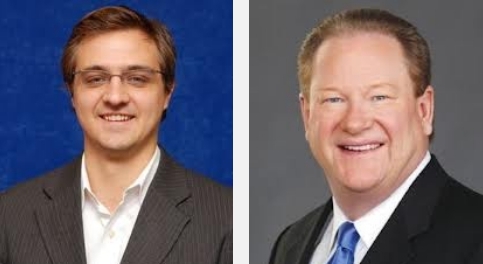 NewsBusters reported Wednesday that MSNBC's Ed Schultz was leaving his 8 PM time slot to appear instead on weekends. For those unfamiliar with Hayes, this is the guy who during Memorial Day weekend last year said he was "uncomfortable" calling fallen soldiers heroes. As an editor at large for America's most liberal periodical The Nation, the movement of Hayes to prime time appears to be MSNBC believing it's not left-leaning enough. Mr. Hayes, 34, will be the youngest host of a prime-time show on any of the country’s major cable news channels, all of which seek out youthful viewers but tend to have middle-aged hosts and a core audience made up of senior citizens. Of Mr. Schultz’s one million viewers last year, for example, only 249,000 were between the ages of 25 and 54. The question is whether younger viewers will respond to Hayes's far more laid back style compared to Schultz who as NewsBusters readers know all too well likes to shout at the camera as he defames conservatives with his patented invective. That will be missing with Hayes, but viewers will still be treated to far-left views. Earlier this month, Hayes said it was "adolescent" for Supreme Court jurists to want the law to be colorblind. With Hayes, viewers will also be getting a climate alarmist who believes battling global warming is akin to ending slavery. Maybe most importantly, like so many MSNBCers, Hayes isn't concerned with the facts, and often twists them so far that even the left-leaning Mediaite takes notice. So although we say good riddance to Schultz, we're quite sure MSNBC's 8 PM viewers will be treated to the same liberal swill albeit at a lower volume.